Striving for eco-friendly-buildings and the eco-friendly-home as safe for the environment and in tune with it's natural surroundings, is the goal for the future, and on the minds of many. 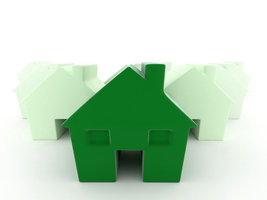 Green-home-construction is catching on in the interest of the future and taking care of the environment. And it's not just for homes, it's for office buildings, educational structures; any community structure actually. 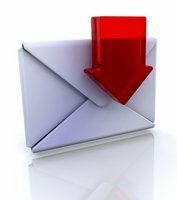 In the interests of green-home-construction, homeowners are downsizing more and more to smaller homes. A bigger home to me, always meant more "housework" and that I don't need. More importantly though in terms of energy efficiency, the monster homes out there use more energy in a month, than I ever will in a year. That is what is important. There is alot to be said for smaller and cozy. It's also much more socially responsible. On the other hand, for those with bigger homes, who simply just want bigger homes for the look, or more space, or whatever the reason, there are ways to maximize energy efficiency. In terms of cooling, heating, use of certain electrical appliances and overall operation, there are decisions to be made to determine just how much of an eco-friendly-home you want your dwelling to be. Home remodelling takes into account the same decisions. As with the construction of all eco-friendly-buildings, it is hoped that higher initial costs (and there could very well be some) will over the longterm, outweigh the costs of implementing such big decisions. Energy savings, functionality and "pleasant to look at" are equally important to the business owner and business people as well. Whether it's a brand new structure, or a remodel, these "organic-buildings" want to accomplish something else as well. Already existing buildings can be brought up to an acceptable degree of low impact on the environment by fixing past mistakes. Things can be changed or replaced in terms of materials used to rebuild, re-thinking the surrounding landscaping, or even replacement of the furniture chosen to decorate the inside. Yes, the inside is a huge consideration as well. Depending on your tastes, you could break the budget, or you can choose to simplify and search out businesses that specialize in this area and who are truly interested in the environment and everything they can do to make you a happy and satisfied customer. There is alot more to think about other than "solar panels" when it comes to greening up your home. And how or whom would you talk to about these things? How does the average person know what to even think about, or what's efficient and proper for carbon footprint reduction and being kind to the environment? As a homeowner, or businessman, most people want to mainly maximize profitabilty and efficiency. There has had to have been alot of education going on at many different levels for Engineers, Planners, Consultants, Architects and the list goes on. It may be in your best interests to talk to a knowledgable person directly in the field of eco-friendly-buildings for advice and guidance in this area. The Green Educated Designer takes into consideration many many things when working with their clients. Consider a consultation. There are green home kits and eco-friendly home plans for consumers to take under consideration. The green industry is growing due to increased demand, and eco-friendly home building is just a small part. Technology and invention has produced such a huge variety of techniques to apply just in terms of materials alone, not to mention how they apply to the inner workings of all that is needed on a day to day basis just to run the functions of the home. There are some very old ideas out there that have survived over time. Ever considered what the purposes are of the Eco-Friendly Roof and why you might be seeing and hearing of them more frequently? Making use of what is already available plays a huge part in the building process. Visit the Green Living Expert for information on the purposes and types of recycled building materials . Some people even opt for the extreme eco-friendly-buildings but viable "earthship" idea. These types of dwellings remain off the grid and are completely self-sustained. 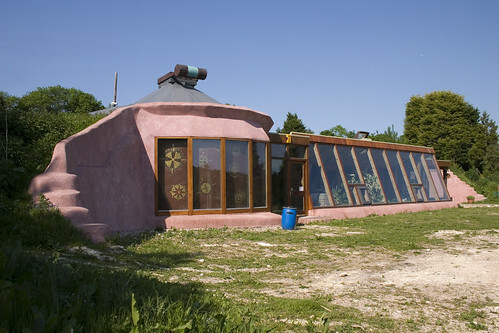 The "Earthship" pictured above is uninhabited, but there are daily tours to see just how it works. There are small homes that are "hobbit style" - built into the ground, but wisely take care of all needs through solar and proper water conservation methods. Some of these ideas may be a bit too extreme for most of us, but for those who are looking for choices, they are options to look at just the same when considering creating eco-friendly-buildings of any sort.